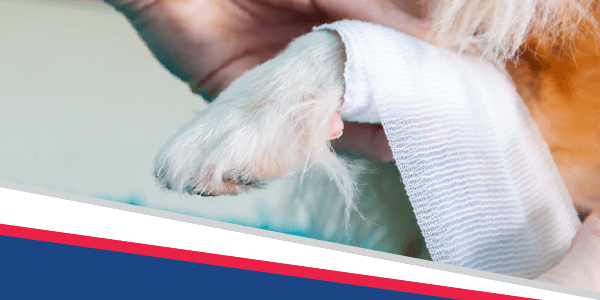 April is National Pet First Aid Awareness Month, and as summer approaches and we start searching for times to spend outdoors, it is important to be prepared in case anything should happen on your outdoor adventures. One of the most important ways you can prevent accidents and emergencies is by being aware. Keep your eye out for any potential dangers, such as brambly undergrowth, fast-flowing rivers or plants that could be poisonous. In addition to this, make sure your pet is constantly supervised, if not leashed.